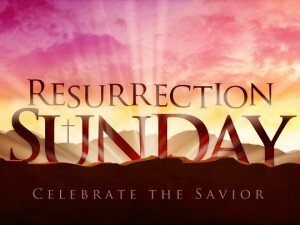 GOOD FRIDAY April 19, First Presbyterian Church Sanctuary will be open from 10:00 a.m. to 2:00 p.m. for prayer and meditation. 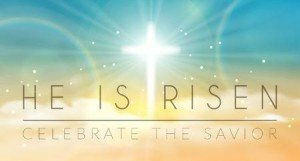 EASTER SUNRISE SERVICE our sunrise service will begin at 6:45 a.m. Easter Morning at Patrick and Diane More’s home 8201 Hwy 70. We will be outside so bring a lawn chair. If it should rain we will meet in Staub Hall (still at 6:45 a.m.). EASTER EGG HUNT AND BRUNCH during the Sunday School hour we will begin with a brunch and then see if there are any eggs to be found by the young of age and young of heart. RESSURECTION SERVICE will be at the normal time of 10:50 a.m. and will include Communion and the baptism of Oliver Paul Streit.